Rishabh Builders, was established in the year 1997 to kick start the process of growth in the area of real estate in Chhattisgarh and is now reckoned as pioneer in Housing and Commercial development sector. The company, having its registered office in Raipur, is now one of the fastest growing companies in the Realty Sector in the country and has posted more than300% growth during last three years in terms of revenues and also new avenues. The company and its associates are developing high end residential & commercial projects. 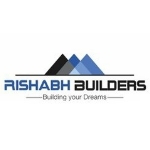 Rishabh Builders are confident to be among the front runners in the realty sector in India.